Its entry level Budget Smartphone from Samsung, comes with 5 MP rear camera, 4.5 Inch screen and powered with Snapdragon 410 quad core processor along with 1 GB RAM. The phone look is similar to other galaxy phone and screen is 207ppi which is not producing clear sharp images but its fair upto acceptable range, viewing angle of screen is wide enough. The performance of Snapdragon 410 is sufficient for running most of the application without lagging. The battery comes up with 2000 mAh is gives full day backup in moderate use and 10 hours talktime over 3G. 5 MP primary camera is fair enough and picture quality is good. Available Internal memory in device is about 5.2-5.4 GB. Ultra power saving mode in this device can extend your battery life for 4-5 days. Don’t have gorilla glass and light sensor. There is no notification led in this phone. You can’t use 3G data in Both SIM cards. Display is not sharp as it has only 207 ppi density. The Samsung UI is simple don’t have extra futures like gesture, multi-window etc while you can use Launcher for advance customisation. 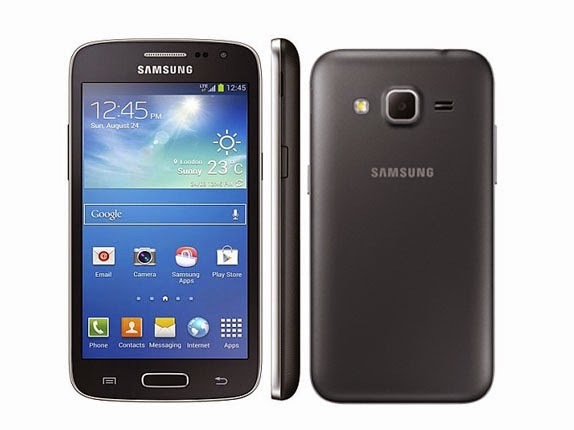 This is nice for all users want a decent Smartphone from Samsung under 10 k rupees ($150). Everything is smooth in this Smartphone according to its price. But if you want play some high graphic games it’s not fit for you. Overall its decent phone.